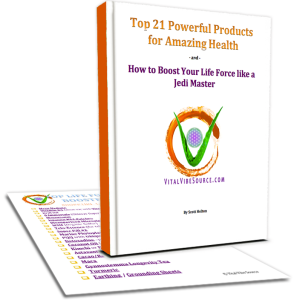 Thanks for signing up for the Top 21 Powerful Products for Amazing Health Guide and Master List! To get started, just check your email for your private link to download the pdf file. Instructions for downloading the pdf file to your computer are listed below. We sincerely hope that you find this information valuable and actually try some of the recommendations to see how they can benefit you. Your energy levels and overall health and wellbeing will most surely improve. We look forward to sharing more valuable tips with you soon. You need to make sure you whitelist our email address: support@cafenamaste.com, and mark all our mails as “Important” if you’re using Gmail. Otherwise you’ll miss out, because they won’t make it to your “inbox”. We know shopping for health products can be overwhelming… It’s our passion to find the best of the best of what’s out there, the things some of the top health experts all agree can fully optimize your health and wellbeing. What makes us different is that we’re able to be curators of the best out there and put them all under one site, without being loyal only to one brand. Check out our site Vital Vibe Source for your supplements, books, and devices to live and perform at your very best! *After clicking the link in your email from us, you will be brought to the online pdf file (document). Click the pdf download button shown in the picture below to download it directly to your computer.